Another good week in the world of Beer Mail. Dead Frog Brewery sent some samples of their French Oaked Stiff Stout from their Brewmaster Series. This is something I am very much looking forward to. Expect a review within the next week. Dead Frog Brewery was just featured on the CBC's The Big Decision. You can watch the episode featuring them by clicking here. 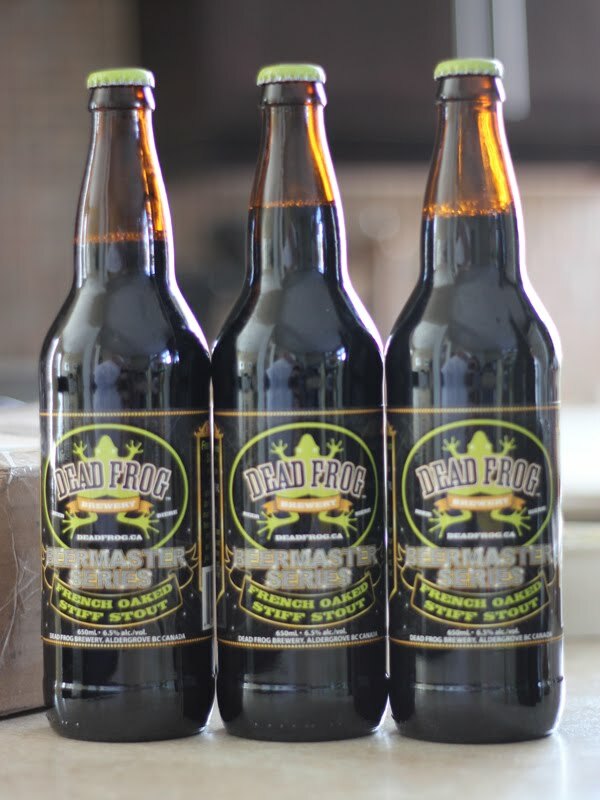 Congrats to the team at Dead Frog Brewery! Hopefully they will now be able to expand across the country and well into Ontario.